As the focus of the cricketing world will zero in on England next May, thanks to the 12th edition of the 50-over World Cup, Ireland – a neighbor of the host nation – will also stand to see collateral gains. The country, though will miss the World Cup, will host as many as four participating teams who will prepare for the mega event on their soil ahead of the mega event. Zimbabwe, who narrowly missed the opportunity to play in the tournament for the first time since 1983, will then tour Ireland in July to take part in three ODIs and as many T20Is. 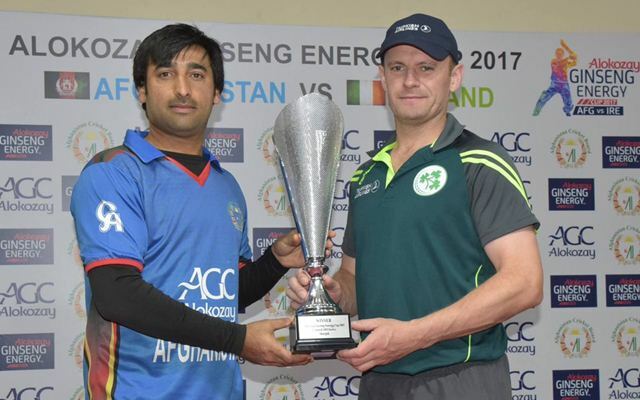 Ireland, who got the status of Test-playing nation with Afghanistan this year, will host as many as 16 international matches between May 3 and July 13 next year, becoming one of the busiest host nations in the circuit though it is not a host nation of the World Cup. They will first take on England at the Malahide Cricket Club for a one-off ODI on May 3 and then play Windies and Bangladesh in a tri-series starting May 5. The teams will play four games each in the tournament before the final which will be played at Malahide on May 17. The Irish, ranked 12th in the ICC ranking in ODIs, will then host Afghanistan for two ODIs – on May 19 and 21, at Stormont. “While 2018 was a breakthrough year in many ways for Irish cricket, 2019 is set to be another momentous year for our sport. Next season we will host five Full Member nations – with a number of the teams having not played here for many years,” Chief Executive of Cricket Ireland Warren Deutrom was quoted as saying by Cricbuzz. Ireland, who made their debut in World Cup in 2007 and stunned former champions Pakistan to reach the Super 8 in the same edition played in the Windies, appeared in the 2011 and 2015 editions as well but failed to cross the group stage. They took part in the qualifier for this year’s World Cup played in Zimbabwe in March but failed to make the cut. Afghanistan and Windies qualified as the first and second teams. Ireland are set to play Afghanistan in a full-fledged series to be hosted by India in February. In July, they will play England in a four-day Test at the iconic Lord’s.